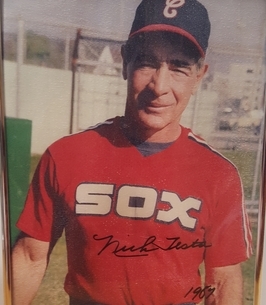 Nicholas “Nick” Testa passed away on Nov. 16, 2018. He was 90. Born to Italian immigrants, Nick grew up in the Bronx and proudly served his country during the Korean War. 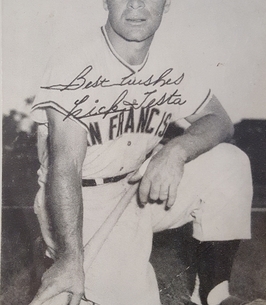 He lived his dream of becoming a professional baseball player, most notably as catcher with The San Francisco Giants in 1958. He graduated with a Master’s Degree from NYU and was Lehman College’s first baseball coach. 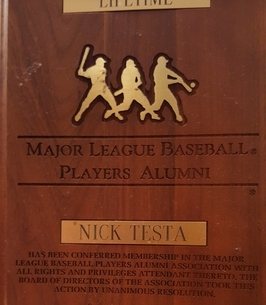 Nick was inducted to Lehman’s Athletics Hall of Fame in 2001. After retiring from Lehman, he joined his beloved New York Yankees as Batting Practice Coach. His greatest honor was wearing those famed pinstripes and serving on five World Championship Teams. He is survived by nieces Joan Aufieri Tretta and Dr. Carolyn Testa Casino (Dr. Joseph E.Casino) and nephews Thomas Testa & William Testa. He is Great Uncle to Joseph Tretta Jr., Joseph A. Casino, Matthew Casino & Christina Casino. 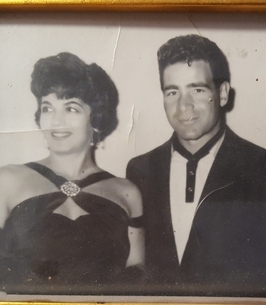 Nick is predeceased by his nephew Father Robert Aufieri and his niece June Digirola.